27th difficulty is the first difficulty uniting all odd meridians, known as extraordinary. Word Ba 八 was used as verb separate during Shang, Zhou and Han dynasties. Later Chinese started to use it as word eight too (not number). Difficulty states 奇 經 八 脈 Odd Meridians Separating Vessels. In case of number 八 should stay in the start of sentence front of word meridian 經, but it uses place of verb. ​Further it continues it's function of separation, claiming that odd meridians have not common points with ordinary meridians. In reality there are only two odd meridians, which are Du mai and Ren mai, all other meridians are even or paired. All other meridians except Ren and Du mai have common point with ordinary meridians which contradicts nature and function of odd meridians. It looks that other extraordinary meridians were added later after classic was originally written, after Han dynasty and same meridians were added to NeiJing. Difficulty explains, that odd meridians have not connection with ordinary meridians, so they prevent overflowing and expansion of disease between all meridians. Archaic acupuncture explains on practice use of these odd meridians according to the pulse. These meridians separate Rong qi from wei, so when Rong is on the left side of the body, wei is on it's right side. We can palpate it in pulse. Rong and wei change their sides every 14.4 minutes this change we can palpate in pulse too.Practitioners regulate Rong and wei flow between meridians according to the difficulty 1, 30, 72 using two odd meridians Ren and Du mai. Without this exchange Rong or wei would be fulfilling same meridian producing overflow. 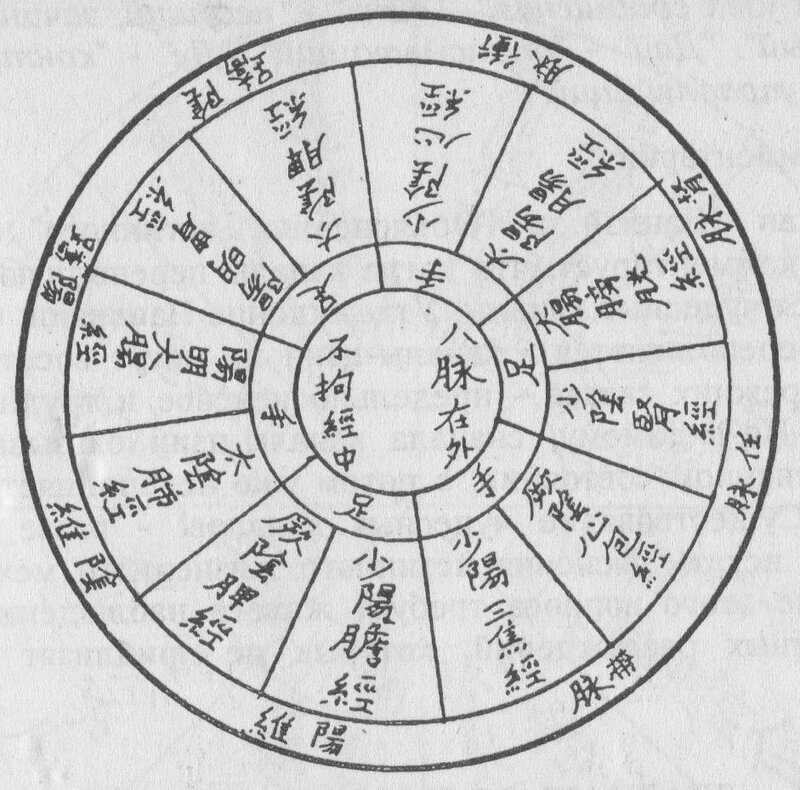 In reality Ren and Du mai meridians change flow of Rong and Wei every 14.4 minutes, preventing extreme overfilling of meridians as it is described in difficulty 27.